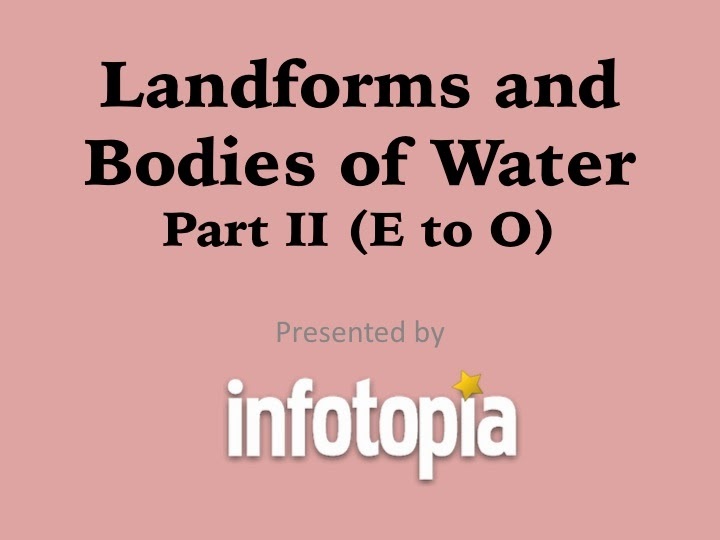 In our continuing series of YouTube videos on landforms and bodies of water, check out Part II which is now online. 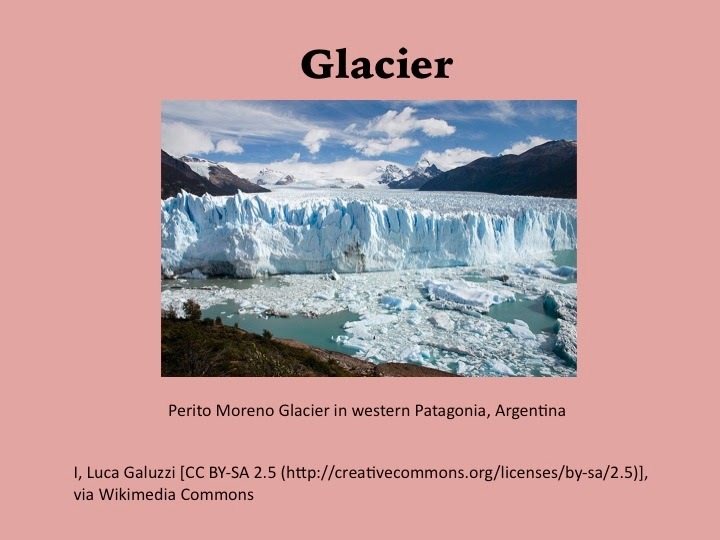 It includes images and definitions of the following terms: fjord, geyser, glacier, gulf, hill, island, isthmus, key, lagoon, lake, marsh, mesa, mountain, oasis, and ocean. Next week, we'll post Landforms and Bodies of Water, Part III, which includes terms that begin with P through Z. We hope you are enjoying our videos. These were created because of a teacher request. Please send us your comments and ideas below.